Have you been striving to become a firefighter since you were little? Firefighters are vital to communities because they ensure safety and help people when they find themselves in emergency situations. Firefighting certainly isn’t the right occupation for everybody. If you know that firefighting is the career for you, make sure you have the skills and personal qualities needed to handle the job. Firefighters have to work to stay in great physical shape in order to survive going into burning buildings and being able to potentially carry victims out of fires. A great way to tell that you may be a great firefighter is if physical stamina is already something you work toward. If you just want to be a firefighter because it “looks cool,” then it’s probably not actually the profession for you. Firefighters are community service professionals who care about maintaining safety through fighting fires and educating community members in their downtime. If you’re deathly afraid of fires, it’s going to be pretty hard to fight them. 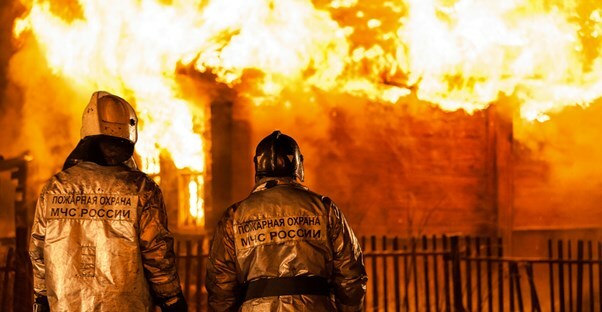 Firefighters have to be incredibly brave and courageous in order to put out fires, but they also have to have the confidence and know-how to put out fires quickly and easily. Being afraid of the fire typically won’t enable you to maintain the confidence firefighters need. Most people think firefighters are constantly getting a stream of phone calls to put out house fires and burning buildings. In reality, a huge part of their job is educating the public. If you’re a good public speaker, you’ll do a better job of educating. Fires are high-pressure emergency situations. If you aren’t good at working under the pressure of emergencies and chaos, firefighting may not be the field for you. Firefighters often have to work shifts outside of the typical 8-5 work day. They often work on-call in shifts of 24-48 hours. If you want that nice 8-5 schedule, consider pursuing something other than firefighting. Were school group projects your least favorite part of school? Would you rather be working individually than in a group? Firefighting may not be for you. Firefighting is only for those who enjoy collaborating and working with others to get the job done.